LARGE REDUCTION - THIS IS A MUST SEE. 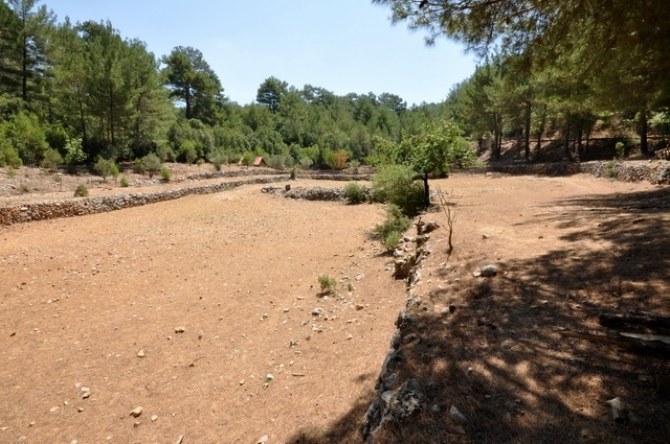 The price alone for this large plot of agricultural land in Nif makes it a bargain; however you have the added investment of a wooden log chalet tucked away on the land. 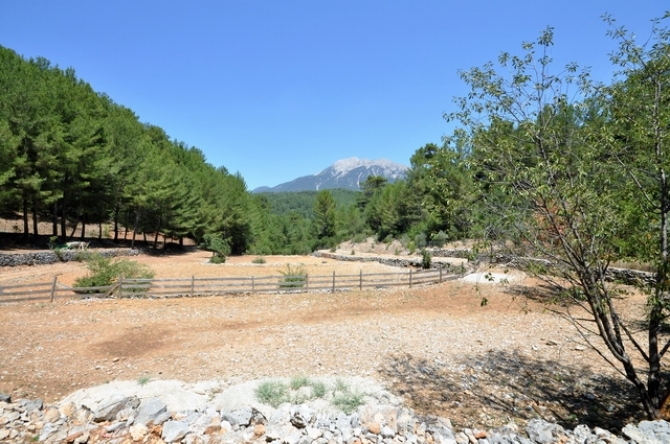 This land sits among lush green forestry and mountains which will appeal to nature lovers and promotes easy living. Nif is a renowned for its fertile soil and is very popular for its cherry fields. Every year the locals host a cherry festival which lasts for a number of days, the entertainment includes folk dancing and live much which is thoroughly enjoyed by both the locals as well as tourists. The summers in Nif are pleasantly met with lovely cool evening temperatures, taking the edge off the summer days in the height of the season. With this land and log chalet you have the options for; an organic farm and barnyard, a yoga retreat camp or great for a hobby gardener. 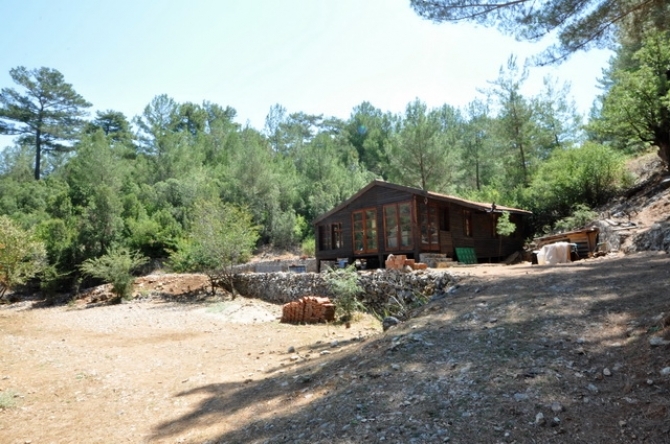 The chalet is very bright, light and airy and has the most amazing mountain views. 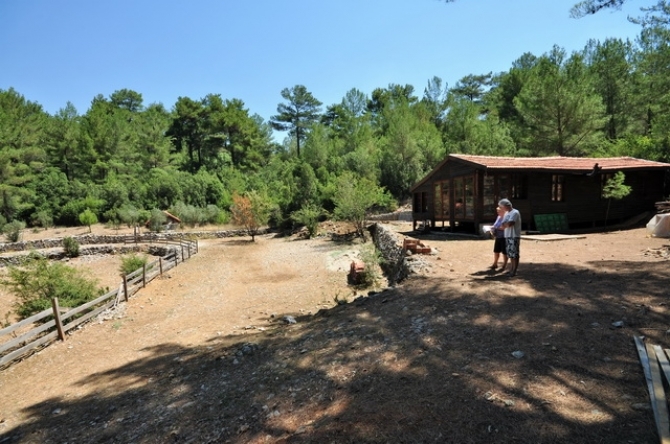 There is water and electric connections and plenty of glazed windows and doors which have been newly fitted and all made from Cedar wood. On completion the inside of the bungalow will consist of a double bedroom with private en suite bathroom, family bathroom styled as a wet room and a spacious open planned kitchen and dining area with the opportunity to have a cast iron stove fireplace which is excellent in keeping you snug during the cold winter months. You will also find a small shepherds hut which has electric and water supplies, another extra added to this great opportunity! 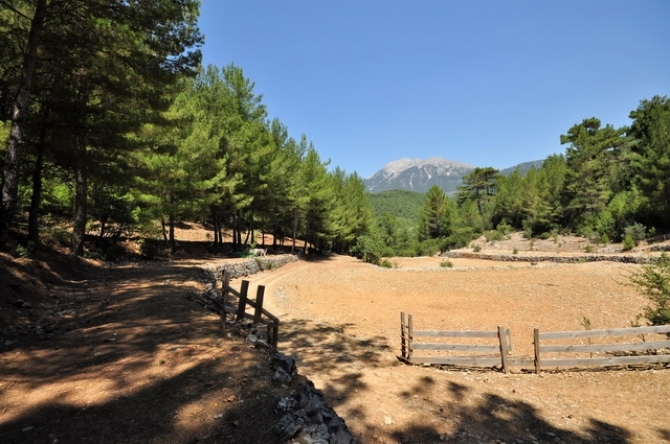 Nif is an unspoiled traditional farming village that lies among the mountains and lush green forest, a short way from Uzumlu Village and the lively harbour town of Fethiye. 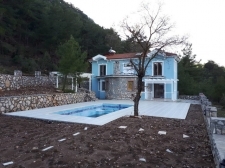 Just a short drive away is the town of Uzumlu which has a number of shops and restaurants, and with Fethiye center being only a 35 minute drive away which has many supermarkets, shops, banks and hospitals. 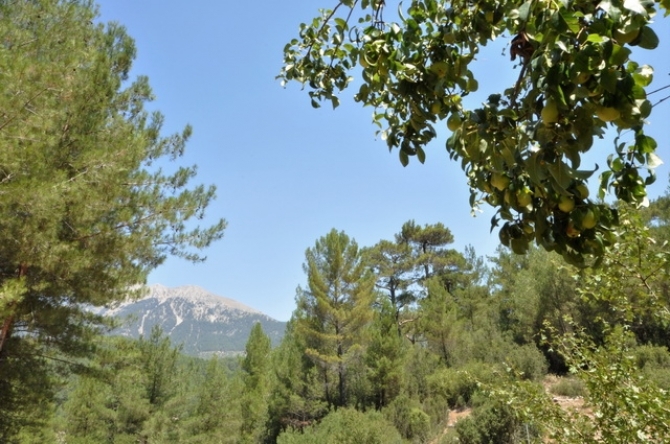 Note: This land is only available to Turkish citizens or foreigners with a limited company in Turkey.